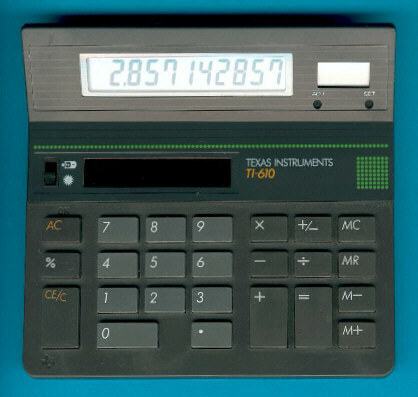 Size: 4.7" x 5.0" x 0.8"
Texas Instruments introduced in Europe with the TI-610 a very well designed calculator with integrated clock. In the United States the same electronics was used with the TI-1798 calculator. The very similar housing was used with the TI-620 and its US sibbling BA-20.